Project Skills Solutions offers the IOSH Managing Safely course which is available via classroom standards or alternatively you can take the course online. If you’re an organisation who needs employees to be trained, here at PSS we also have the option for our expert trainer’s to be booked and are able to teach delegates in the comfort of your own company. IOSH courses help delegates in all sectors stay healthy and safe at work. The course combines up-to-date theory and practice to enable around 100,000 people a year, to earn their qualifications. What Will You Gain From IOSH Managing Safely? After attaining an IOSH qualification, delegates will attain a solid understanding of health and safety practices within their workplace, whilst ensuring they are up-to-date, effective and well managed. allows delegates to ensure health and safety practices within their workplace are current, effective and well managed. The IOSH Managing Safely course is aimed for delegates with roles as a team manager, team leader or supervisor. After completion of the IOSH Managing Safely course, delegates will gain knowledge and skills to manage health and safety within a team. What Will I Learn From The IOSH Course? It is important to understand after completion of your IOSH Managing Safely course you won’t become an expert in health and safety. The IOSH Managing Safely course is designed to give you specific information you need to know and be aware of, when managing other people. Overall, the course will provide you with knowledge on how to keep yourself and those around you safe, promote a safe working culture, reduce absenteeism and meeting legal requirements. After completion of the course, you will then be given an assessment which is made up of 30 multi-format questions. You will also be given a work-based risk assessment task which is to be completed within two weeks after your course. The IOSH Managing Safely course is for a duration of three days. 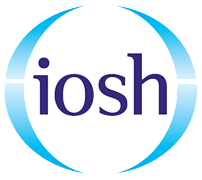 The Institution of Occupational Safety and Health (IOSH) is the world’s leading professional body for people responsible for safety and health within the workplace. IOSH has 44,000 members in 99 countries and is committed to ensuring global work practices are safe, healthy and sustainable. IOSH are one of the most notable thought leaders in the industry, leading the way with campaigns such as “No Time To Lose” and “Work 2022“. Every year over 179,000 people take an IOSH course. Can I become a member of IOSH after this course? We run the IOSH Managing Safely course across our nationwide training centres. The course hours are from 8.00am-5.00pm and the venue is air-conditioned. Chargeable onsite parking is available for delegates. Refreshments are available throughout the duration of your course. Lunch is not provided on this course.